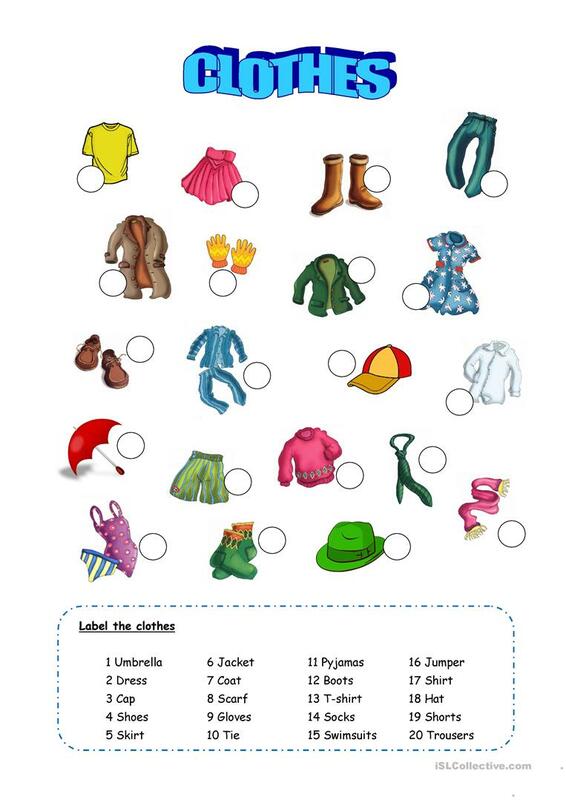 An easy worksheet about clothes. Students need to recognize and label the pieces of clothes. This is a good way to start working the vocabulary. The above downloadable worksheet was created for elementary school students and kindergartners and nursery school students at Beginner (pre-A1) and Elementary (A1) level. It is excellent for honing your students' Reading skills. It is about the topic and words of Clothes, fashion.